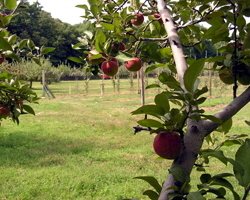 Take Exit 9 off I-295 for Rt. 6 west. Travel west on Rt. 6 for 2.8 miles. Continue west on Rt. 6 bypass for 0.5 miles. Turn right onto Rt. 116 (West Greenville Rd.) for 0.9 miles. Turn left onto Pole Bridge Rd. for 0.7 miles. 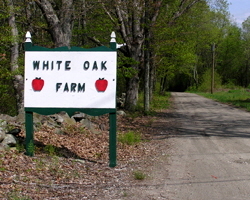 White Oak Farm is at the end of Pole Bridge Rd.